When you keep your air conditioning and heating system going strong, you don’t have to worry about it breaking down and needing expensive repairs. You have to watch out for your budget, too. The good news is, you can keep both your HVAC system and bank account doing well. In our last blog, we explored important things to check before committing to a service plan, including emergency repairs and cost comparisons. Today, we have three more things for you to consider before signing a contract. Service programs usually come with discounts on repairs as well as priority status. Take the time to figure out exactly what those benefits entail. How much of a discount will you receive? What exactly do they mean by “priority status”? Making sure that you and your chosen HVAC company are on the same page will save everyone a lot of headaches in the future. 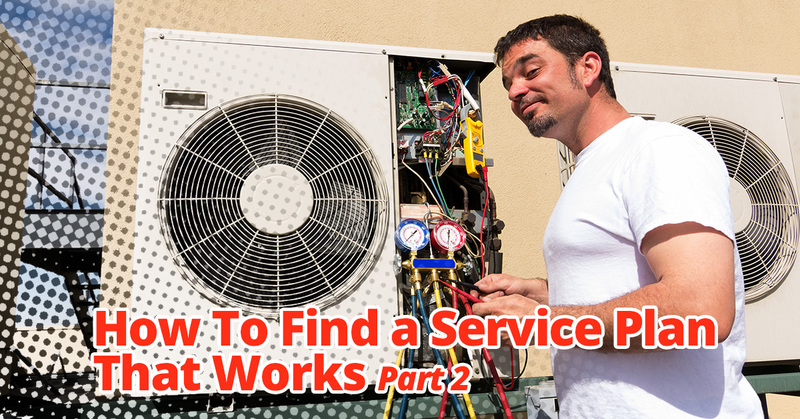 As we mentioned in our last point, fully understanding what you’re getting into ensures that you’ll have a good relationship with your chosen HVAC service provider. Sitting down and going over a contract in detail will allow you to ask questions, including what actions you might take that would nullify it. Look for concealed fees, exclusions, and restrictions. It doesn’t matter how great the service contract is if the company is bad. Check out reviews and testimonials to ascertain whether or not a company is trustworthy, honest, and dependable. At Tippetts Mechanical, we understand what an important role your HVAC system plays in your home or business. We have provided Las Vegas with the best water heater and air conditioning service for years. Bring out expertise to your home or business today!